I’ve been a business owner for almost 10 years, and a mother for almost 3. I have always admired women who were “doing it all”, but also scared how I would be able to make that work myself. I felt more concerned about what having a child would mean in terms of changing my business vs. being actually parenting and being a mother. How do women do this? Am I committing to working part time and limiting my growth? Will I feel guilty? Will my daughter feel ignored? "It’s all about balance", they say. But seriously, what is balance? It’s hard for ANY human these days to feel like they have balance, let alone an entrepreneur. 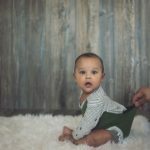 So how do parents, and specifically moms (since a. this is a mother’s day inspired post, and b. even with very evolved and supportive spouses, the default childcare provider is still usually mom), do it all? Well, the short answer is: we don't. When my daughter was born, I didn’t know how much time to take off. I also didn’t realize how hard it would be working up to my due date. I remember calling my friend Jess, while working on a pattern on the floor of my studio, with my huge belly, crying for help because I was days away from my due date, and hadn’t finished my projects. I thought I prepared by passing off as much as could to my colleagues, setting up my clients for continued services while I was off, but, as the sole proprietor of my business, I felt like I still needed to be available in certain ways to my clients, even if via email. I brought my weeks-old daughter along with me to model fittings, and transitioned into a part time basis by hiring a nanny at home, which was short lived. I then leaned on my stay-at-home mom friends (THANK YOU!) to care for my daughter while I worked. Finally, when my daughter was a year old, I found an amazing new childcare center, and the timing was perfect. We started with 2 days a week, then 3 days, and she’s been full-time since 20 months. I found a great fit for our family and she thrives there with awesome teachers, engaging curriculum and of course, making friends with kids her age. I wish I had known other mom business owners who I could get advice from, and make that transition less scary. 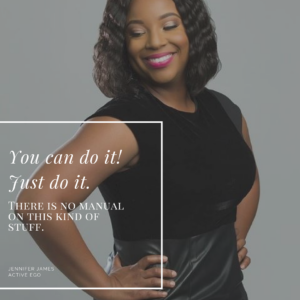 I decided to ask a few of my fellow mom + business owners, all who I know well - they are current and past clients of mine - to share their stories and how they “do it all” - which by the way, just means we do what we can. I think the best way to sum this all up is: There is no perfect way to do business or to parent, so maybe doing both isn’t so crazy after all? A big, heartfelt THANK YOU to all these amazing women for taking time from their already busy lives to share their stories and advice! 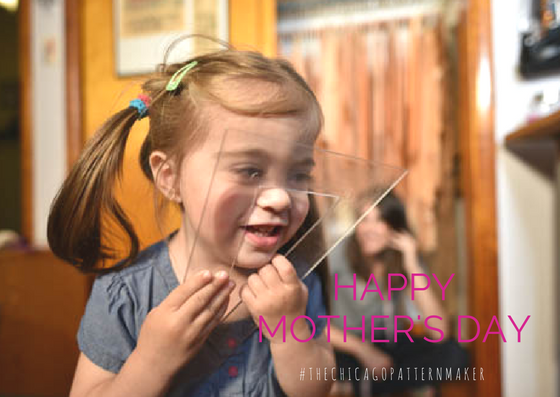 What have you learned through motherhood that has changed the way you do business? 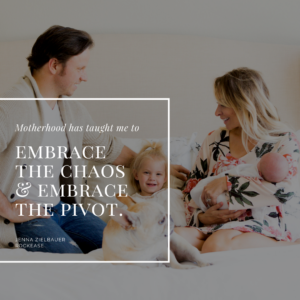 JENNA: Motherhood has taught me to embrace the chaos and embrace the pivot. Things don't always go as planned and that is OK, the sooner you are willing to accept it the better of you will be. I've also mastered my prioritization and multitasking skills, that's for sure. Every day is different being a stay at home working mom. I currently have zero control over my schedule, my son Axe rules the roost for the time being. When I get the opportunity to sit down and work, I always have a running task list, highlight the most important 'to-dos' so I know if I only get one thing accomplished that day it is the most important. 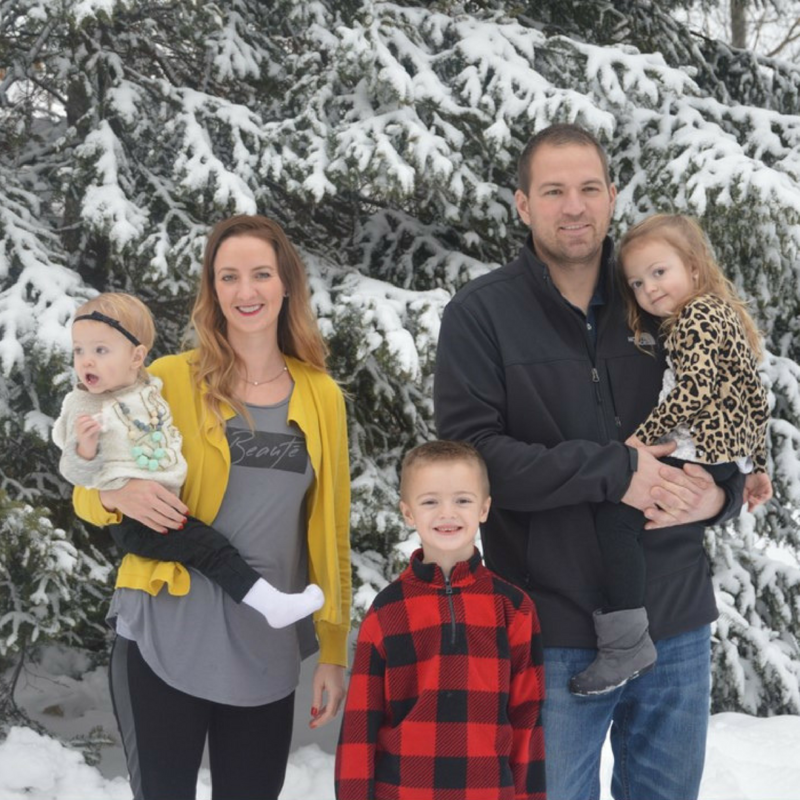 EMILY: In motherhood and running a business being efficient is key! Multitasking! I didn't start my business until after I had children, so I've always needed to be careful with my time management. I started when my son was 1 and now he is 7! Time goes fast Mamas, so guard your time. JENNIFER: Patience is key! It's literally like raising a baby. I have seen how my son has grown from being an infant to now a 1st grader in school. It did not happen overnight, it's a process. I take this lesson daily as I continue to work on growing my business. 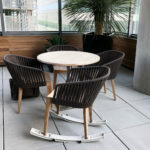 XOCHIL: I have learned how to manage my time and projects more efficiently, and how important it is to step aside and say “no” sometimes, to keep family time sacred. 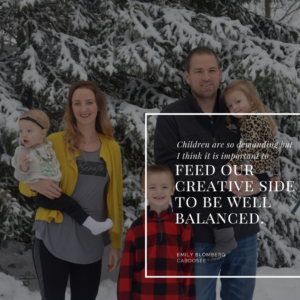 Of course since I work with many start-up’s and smaller businesses, being flexible is still important, but I can still carve out family time and create a balance that doesn’t keep me away from home most nights. 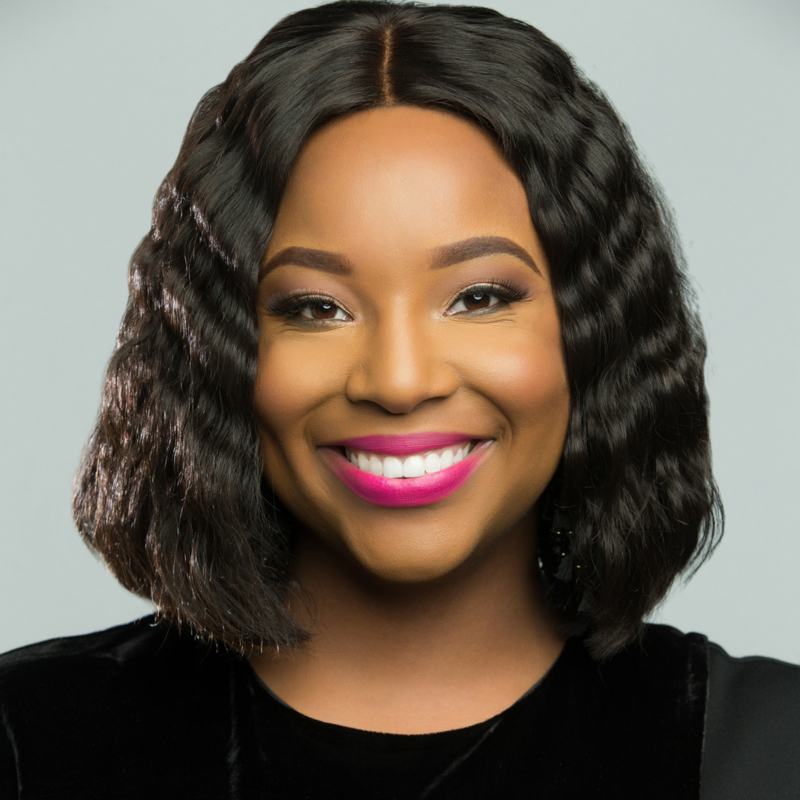 TIFFANY: Business objectives may not always follow a timeline that I can control; motherhood presents a balance of priorities that are ever-changing. I’ve learned to focus on the compilation of daily objectives that accumulate to a productive week. Similarly, celebrating the smaller wins help motivate and keep me moving in right direction to achieve the bigger picture. How do you balance your time? Do you have any tips or tricks for managing time better & being productive? JENNA: Balance? What's balance? LOL. I work in between feeds, diaper changes and anything else my 6 month old son needs. And then I'll usually fire up the laptop once both kids go to sleep which tends to be the most productive hour or so of my day. If you want to make it work, you have to fit it in when you can. Keeping a list of ongoing prioritized tasks has been crucial, especially with two kids. I also heavily rely on my Google Calendar. Without it I'd be lost and would have missed a hell of a lot of meetings. EMILY: Just within the last couple months I have tried to get more scheduled. I have a very passionate personality so it's hard for me to not think of whatever it is I am working on in the business. So I am trying to be in the moment. When the kids are napping, focusing on work. When the kids are up, trying to focus on them. I just got Tailwindapp and LOVE IT. It has really helped me be able to batch out my Instagram posts so that I'm not constantly on my phone working on a post. I'm also trying to have daily goals, whether business or personal. If I have a goal of "clean the bathroom, then write a blog post , then do laundry" I can keep myself focused on these tasks and actually complete them! Even if I look around and see the house isn't perfectly clean, I can mentally say BUT "The bathroom is clean, I wrote a blog post and the laundry is done!" I love listening to entrepreneur/business podcasts and because I’m obsessed with being efficient, I play them while I'm putting away laundry or doing dishes. TIFFANY: I optimize my time by working during my son’s nap schedule (1-2 hours in the afternoon) and evenings after bedtime. Since my son is home with me full-time, I try my best to give him the attention he deserves when he’s awake. Find a place in your home that is social-media and technology-free. Often-times these distractions can lead us into a space where we’ve lost time without even realizing. I also keep a task tracker in excel that outlines my key priorities, so that my “work” time is not spent thinking of what to do next. JENNIFER: It's simple, I don't. I am literally the worst person to speak to this because I do not believe there is balance. I do strive to balance time, not only for my company, but my family, friends etc. But it's impossible. I just prioritize with my husband and kids coming before anything else. Even then, I don't always seem to balance so well. You have to be okay with 'failing' in some areas. The key is to not fail too many times in the same area week after week. Every Sunday I use that time to prepare for the upcoming week. Literally, I prepare like I am about to get into a boxing ring. I make sure that I am prepared and organized and ready to tackle Monday like never before. It really helps when I am prepared at the beginning of the week. What advice do you have for a woman who is currently in business and thinking about having children? 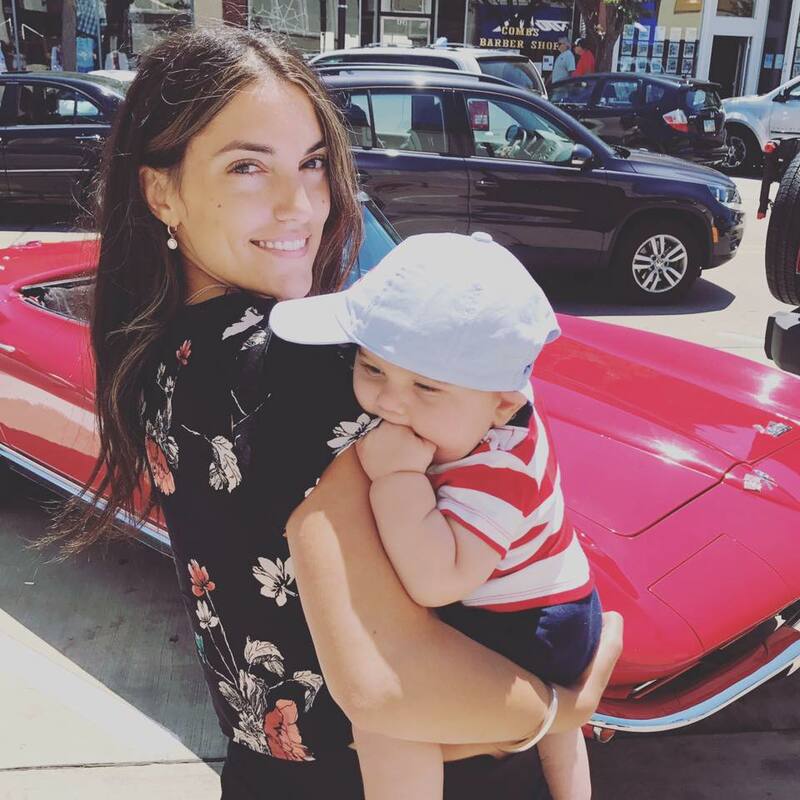 EMILY: All personalities are different, some [moms] seem to find it easy to head back to work after 6 weeks (or at least that is the vibe they put out). But it is so much harder to leave that baby than one can expect. 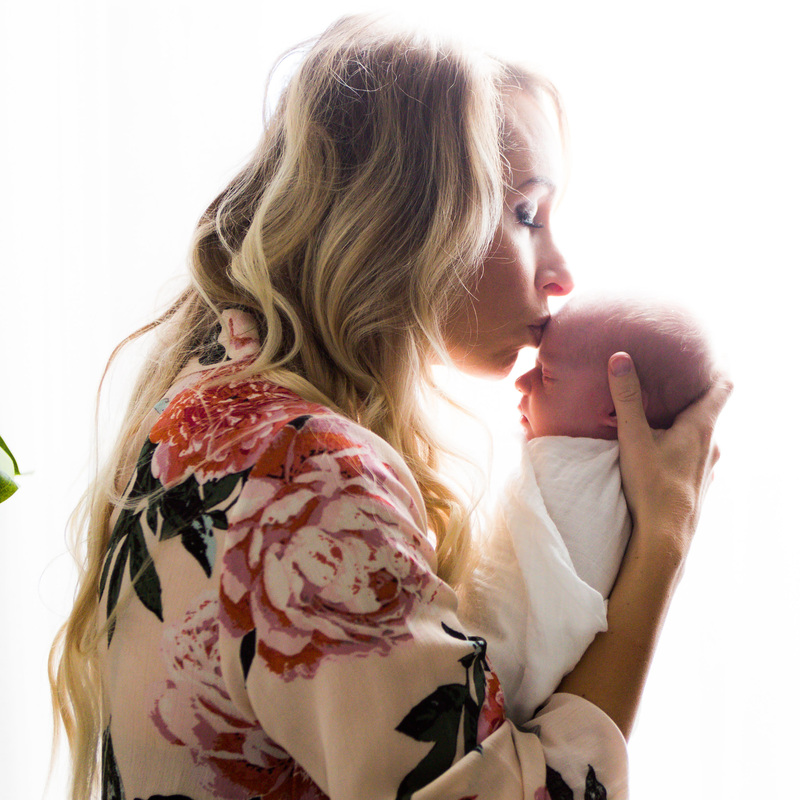 Pregnancy and childbirth are a crazy and amazing experience, but they will change you. Be prepared to SLOW DOWN. You will never regret putting starting a family over finances/business. XOCHIL: This motherhood + business owner journey is very individual to each woman, and you have to do what feels right to you. But, I think it helps to know other women are rocking the journey! JENNIFER: You can do it! Just do it. There is no manual on this kind of stuff. Everyone has their own experiences but know we are all in it together. TIFFANY: Consider what stage of maturity your business is in, and if you need the extra resources to help keep your dedication and focus. Becoming a mom is a job that you can’t prepare for and it doesn’t have a start and end time. Calibrate your expectations for your business and yourself. JENNA: Figure out your game plan. It is possible to do both, but you need to plan for it to be successful: who will help you with childcare, will your husband help with household chores, what happens if your child is sick (what parent is responsible), and if you are going to be a stay at home working mom what tools are out there to make it easier for you. If you feel like you are taking too much on, you probably are. Take a step back and figure out where help is needed and how you can get that help. What advice do you have for a mom who is thinking about starting a new business? JENNIFER: First of all, kudos to you for even thinking about it. Seriously, we wear so many hats during the day, that adding more to your plate is even more commendable. The advice I would give is to stay committed with your idea and/or concept even when no one else agrees with what you are doing. It's your vision, not theirs. JENNA: My husband thinks it is cynical of me, but I always tell budding entrepreneurs "if you don't rely on anyone you'll never be disappointed" - a harsh reality, but an important lesson. 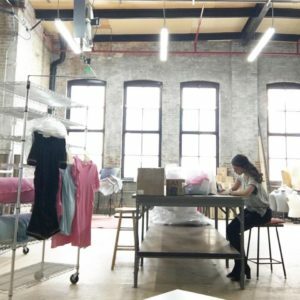 If you are starting a new business or venture, you need to be prepared to do it solely, because you may end up being the only one advocating for that business. EMILY: Children are so demanding, but I think it is important to feed our creative side to be well balanced. We need to pour into the other parts of lives besides just our kids. But again balance is important. Kids grow up so fast! So don't waste the little years not being there by being busy with business constantly. TIFFANY: Being a mom shouldn’t be a hindrance to achieving your aspirations. It can be a compliment to what you want to achieve and inspire in ways you never imagined. I’d say the same advice, calibrate your expectations for your business and yourself without taking on more than you can handle. JENNA: Seeing RockEase, from concept to prototype, come to fruition. I would have never in one million years dreamed I would have a patent on a product that parents can use to aid in the development of their children. But here we are, 3 years later, about to go to market and it's freaking amazing. TIFFANY: I’m proud of making the choice to pursue my true passion. With a background in financial services, I was climbing the corporate ladder, but not personally fulfilled. I’m happy that I’ll never live with the thought of “what if” I applied my creative abilities and try to meet a market need. Self-employment has been the biggest and most rewarding challenge I’ve ever assumed. JENNIFER: Thankfully I have a lot to be proud of. I am most proud that I have the most patience family and supporting team around me. If it was not for them, none of this would be possible. I appreciate their patience, kind words, and support. EMILY: I own a US Utility Patent on my baby clothing technology. This was a 3 year up and down journey. For it to finally issue was pretty awesome. JENNA: Anyone following their entrepreneurial dreams. This journey is not for the faint of heart. It's hard, ruthless and at many times very isolating. Seeing people grind day after day to achieve their dreams pushes me even harder. The stories about entrepreneurs like Jeff Bezos and Elon Musk they really drive it home for me. I want to be the next Jeff Bezos. EMILY: I have binged listened to How I Built This podcast. All of these stories of entrepreneurs, their struggles, their triumphs; are so inspiring me to keep going. TIFFANY: My brother, Nick, inspires me. He is the Executive Director of Unite America, a platform to help elect Independent candidates into office. At only 25 years old, he ran an independent campaign for the House of Representatives in the state of Pennsylvania and is determined to break the partisan gridlock by offering a viable third-party option. His ability to motivate and inspire others to make impactful change is conducted in a way of humility and empathy. I truly admire him as a leader and public servant. JENNIFER: Endless possibilities inspire me. We as women have so many talents, many at which are hidden and I am so inspired by all the women entrepreneurs who are doing what they love all while not completely losing themselves. Family is important and our kids mean the world to us, we should have to sacrifice our dreams just to have both in our world. We can have it ALL.